Come and enjoy family fun in Alicante with Circo Magico. Magicians, alchemy, spells - everything is written in the Great Book of Wisdom, the impossible will be possible and everything you can imagine and dream will come true. A place where a Magical Tree tells us how the first Great Magician came from the stars to our world to stay. Fairies and other fantastic characters will accompany you with their acrobatics and dances to move the spectator to the wonderful world of magic. 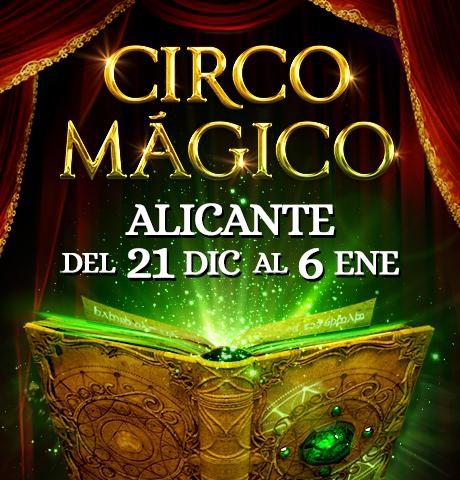 Enjoy a magical Christmas in Alicante with a trip to the theatre to see Circo Magico. Remember, those who believe in magic always find it.